Home / 2018 Articles / Is The Best Still Yet To Come? Of course, that didn’t happen. 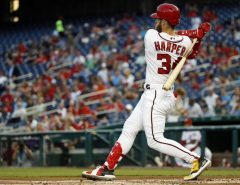 The Nats dropped three of four, while maybe adding two more guys to the DL (early season studs Jeremy Hellickson with a hamstring and Matt Adams with a foot). The Nats now sit 1.5 games back of the Braves for the division lead. It’s too early to talk about a Wild Card berth, but we sit 0.5 games ahead of the Cardinals for the second spot. Not where we expected this team to be in June, but, hey, you could say the same thing about the Capitals. And sure, we’re right there, but we’re about a third of the way through the year and things seem to get worse each week. After Sunday’s game, the Nats have used 42 players this year, tied for most in the majors. We need the guys we have to produce. We need the guys we’re waiting for to come back. 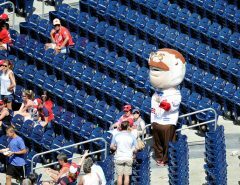 We needed Ryan Zimmerman to start a rehab assignment soon. 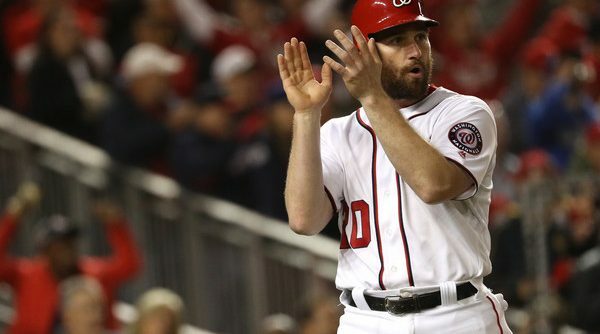 We needed Daniel Murphy’s to go well. Then, on Sunday, we saw that it wasn’t. He’s set to be re-evaluated on Tuesday, but reports suggest he’s still a ways away. At this point, it’s worth wondering if he’ll play this year, and if he does, what he will be able to offer. He’s the Bryce Harper Protection we were promised. We needed him. Instead, the Post name checks two other recent players who’ve had microfracture surgery: Justin Turner and Grady Sizemore. At this point, it’s worth wondering if the Nats are who they are: a decent team that roasts the poor and gets beat-up by the rich. The team streaked through May, yes, but let’s not forget the schedule we were gifted. 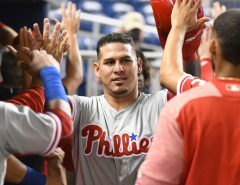 Of the 26 games played, we had six against the last-place Padres, three against the last-place Marlins, and three against the last-place Orioles. Add in a four-game sweep of a Diamondbacks team in the middle of a 7-20 month (and who ripped off nine consecutive losses after our series). We’d be ringing the alarm bells even louder if we didn’t win all those games. It’s also worth noting that our two-game set against the Yankees was rained out (the first one will be picked up in the sixth inning tied 3-3) and we got swept by a resurgent Dodgers club that made the World Series last year. Rewind to April: we lost three of six to the surprise Braves, four of six to the hot Mets, two of three to the Dodgers, two of three to the Giants, three of four to the Rockies, and two of three to the Diamondbacks. We swept the Reds. All those teams, save the Reds, sit above or near .500 (yes, even the Mets). Good teams beat bad teams. Good teams also beat other good teams. The 2018 Nats don’t. 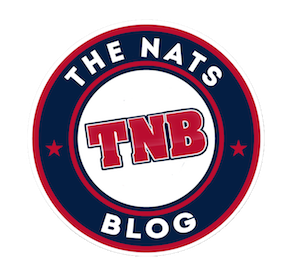 And if the bad luck continues – Murphy doesn’t come back, Ryan Zimmerman stays washed, the bullpen makes us long for the days of Craig Stammen – they might not. Though that may be enough to sneak us into the playoffs, I’ve got bad news: we won’t be playing the Marlins then. Hey-o. Uh, Adams isn’t on the DL and the Nats are tied for first in the division. Fact-checking, my ddude.